SMC Corporation (Singapore) Pte. Ltd.
with effect from 8 March 2019. Please note that there is no change in the company’s scope of business. The name change shall not affect our ongoing cooperation and contractual agreement. Please see the official notification letter here. We would highly appreciate if you could bring this information to the attention of your relevant department involved. We, SMC Corporation (Singapore) Pte. Ltd., is dedicated to be a reliable provider of industrial automation solutions and we look forward to continue to prosper under our new name. 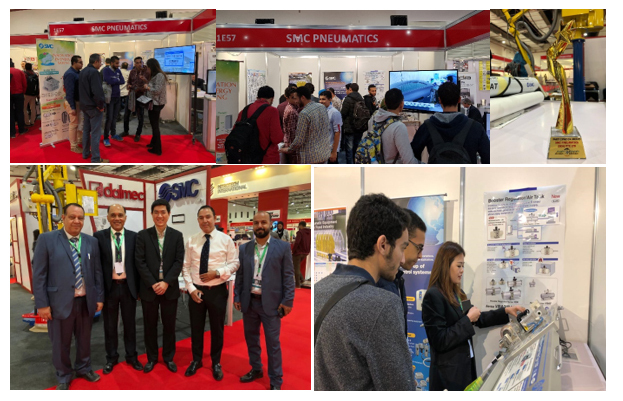 SMC Singapore participated in Airtech 2018 which was held from 15 to 18 November 2018 at the new Cairo International Convention and Exhibition Centre (CICC), Cairo, Egypt – being one of the booming country in the manufacturing and automation sector. With the demands of new technology and energy efficiency at the forefront of manufacturing considerations in the Middle East and North Africa region, SMC’s solutions are designed to assist automation and manufacturing industries in reaching their objectives of better productivity and efficiency. This exhibition provided a platform for SMC Singapore to showcase products such as Electric Actuator LEL Series that offers multiple positions, and energy saving components featuring Vacuum Flow ZH, and Vacuum Ejector ZK2, which provide significant savings both financially and environmentally. We had fun hosting all our visitors and sharing our new technologies, air purification equipment and energy saving solutions! Additionally, SMC Singapore also won a Participation Award for participating in AIRTECH 2018! Thank you for your support and thank you for visiting SMC at the AIRTECH 2018 Exhibition in Egypt! The biennial OSEA, Asia’s Largest Oil & Gas Event just concluded its 22nd edition tradeshow which ran from 26 – 27 November in Singapore at Marina Bay Sands. It is an inaugural joint exhibition of SMC with our authorized distributor Techfield Supply, showcasing a wide assortment of gas delivery components – High Pressure Regulators & Valves designed and manufactured exclusively for Ultra High Purity applications used in industries such as Analytical Instrumentation & Testing, Petrol-Chemical, Medical & Bio Pharmaceutical, Manufacturing & Automation, Offshore & Marine Industry. SMC also took this opportunity to penetrate the oil & gas market by aligning Japan’s objectives of dryer usage and endorsement in exhibitions with customers like Nanyang Polytechnic & Leeden National Oxygen. The event has absolutely helped SMC to create brand awareness of APTech products in the Oil and Gas Industry. 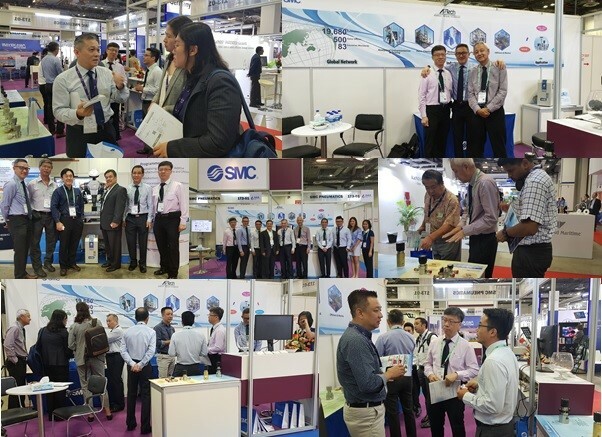 Thank you for visiting SMC at the OSEA 2018 Exhibition in Singapore! We had a great time and it was a very successful exhibition with many visitors. Please click here for more information about SMC’s AP Tech products.